JIM Hurley's eyes search the horizon as he speaks, his face consumed with nostalgia, recalling the memories he shared with his good mate Roy. It has been only a few months since Roy Crotty, Brown and Hurley's first ever employee passed away. 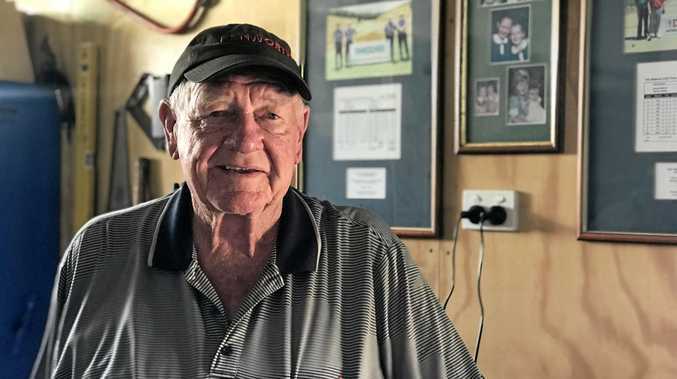 As one of the best known names in Australian trucking and the man who spent his whole working life with Roy, Jim was keen to ensure his friend was remembered. "But just the quality of the man," Jim said. "If someone was doing it tough and they had their credit stopped, Roy would work on their vehicles in his own time, so the labour wasn't charged out until they got back on their feet," he said. "That was just the quality of the man." In 1946 Roy first came to Brown and Hurley. 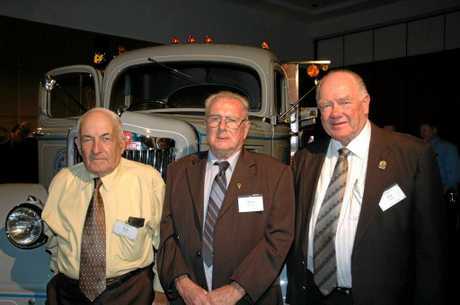 As the original employee of the Australian trucking institution he worked as the service manager for close to half a century. "My dad and Alan Brown had linked up as friends during their time in the army. After my dad was discharged, the business began," Jim explained. Roy then joined as an apprentice when the business was still just a push-bike shopfront in Kyogle. "He was 16, maybe 15 at the time," Jim said. Just a few years later, Roy became somewhat of an older brother figure to Jim growing up, and showed him the ropes around the Brown and Hurley workshop. "I started an apprenticeship there at 16 when he was probably in his late 20s at that stage," Jim said. "We became very good friends, and also close family friends. "He taught me everything I know, but he didn't teach me everything he knew," Jim laughed. But their friendship wasn't restricted to the working week. After all, as country boys from northern NSW, they knew how to get up to some mischief. "It was my buck's night and we were having a few drinks, and we were probably having a race back home," Jim said. "He had turned his car lights out so I couldn't see where he was. "But as I came around the corner here was a big hole in the lantana bush," he said. "They were stuck, they couldn't open the doors because they were in so deep with the undergrowth. We eventually had to pull them out with the tow truck. "That was the night before my wedding," Jim added with a grin. But it was Roy's reputation as a kind and generous man that followed the Kyogle local throughout his life. 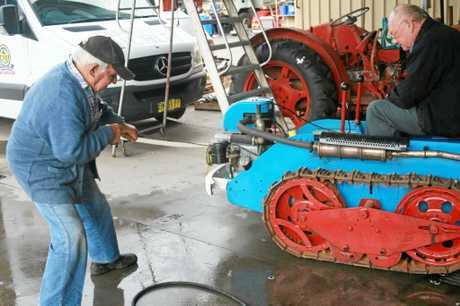 In 1993 he retired and remained in Kyogle, still heavily involved in the community. "He kept all of the gear at the golf club running. Anyone who needed help was always there but he would never seek recognition for it," Jim said. "He was made the patron and life member of the golf club. But was he any good at the game? "Not much," Jim said with a grin. Despite his retirement Roy couldn't be pulled away from his love of trucking. Instead he frequented the workshop, working with Jim on restorations of historic pieces right up until his death in November last year. But Roy's most important project according to Jim was his family and his marriage with local Kyogle girl Narelle Crotty. "She was a Kyogle girl as well. They had eight children together," he said. 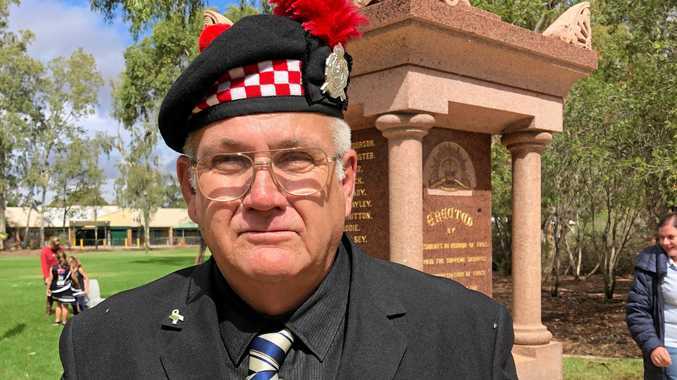 On the day of Roy's funeral, the community rallied with a guard of honour forming outside both the golf club and Brown and Hurley, with a truck he restored leading the procession. "My old dad used to say that those early employees were the mortar that held the bricks together - that was Roy," Jim said. 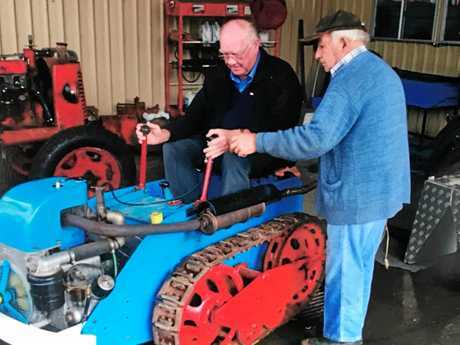 "He is a big part of Kyogle and Brown and Hurley history, what started it all," he said.